Volkswagen says the global emissions scandal will not affect 1.6 and 2.0-litre versions of the EA288 diesel engine. The news comes after Volkswagen admitted it was looking at the possibility of cheat software being fitted to the EA288 engine. A volkswagen statement issued on 23 October said: "After thorough examination it is now confirmed that no software constituting an improper defeat device as defined in law is installed in vehicles with EA288 EU5-engines." Until now, Volkswagen was only willing to confirm that Euro 6 versions of the EA288 engine were unaffected, but now it appears that older versions - built between 2012 -2015 - of the 1.6 and 2.0 four-cylinder diesel are free of the so-called 'cheat device'. 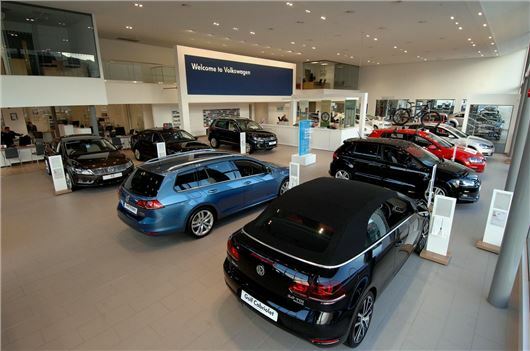 The news will be welcomed by Volkswagen management, which has been investigating all diesel engines built after 2012 for emissions cheating software. The German automotive group will start recalling 1.2 million UK Audi, Skoda, SEAT and Volkswagen cars fitted with the cheat software device from January 2016.